As a Sales Consultant you need to have great drive and ambition to succeed. Working in a competitive environment you will look to attract new buyers and sellers to our business. In this fast paced role a typical day will include liaising with buyers and sellers, following up new leads to convert into business, negotiating offers, cross selling into all business services whilst building and maintaining relationships with existing and new clients. Reporting into the Branch Sales Manager a Valuation Manager will be a key member of the branch success story. 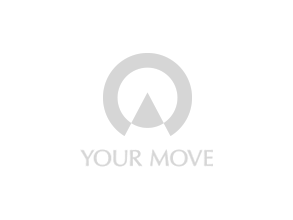 As a target motivated individual you will work from a busy diary promoting the Your Move brand and benefits to maximise successful instructions. Prospecting for new business across Sales, Lettings and Financial Services, you will conduct property inspections and competitive valuations in order to secure marketable properties. As a Lettings Manager you will be responsible for growing and developing the Lettings business within the branch through competitive landlord valuations, business prospecting and proactive activity. As a target driven individual you will work from a busy diary promoting the Your Move branch and benefits to maximise successful rental instructions. As an accompanied viewer you must be honest, reliable and trustworthy as you will be responsible for showing potential buyers around clients’ properties and making sure they are safe and secure before you leave. Pointing out the key features and benefits of each property you will promote the company image and cross sell other parts of the business, including financial services and conveyancing. On completion of the viewing you will feedback to the sales team in branch in order of the Consultants to feedback to the vendors. As a Sales Manager your role will be to focus on the day-to-day running of the branch ensuring that all business objectives are achieved. Providing effective leadership to your team, you will aim to maximise opportunities, optimise profitability alongside the continued delivery of outstanding customer service. Taking a pro-active approach you will be aware of changes and challenges in the marketplace ensuring increase in profitability, market share and ultimately focussed on your goal of achieving high street market leader status. Having two large customer support centres in Southampton and Exeter we are able to provide extra support to our Estate Agency and Lettings customers. These teams are required to build good relationships with our customers, Sales Managers and other staff members. To work in these roles you will be a highly motivated individual who enjoys working within a target driven environment. With Shared Service Centres across the country supporting our Estate Agency network we have various roles within our Head Office environments. These roles could be within Payroll, Human Resources, IT, Facilities, Marketing and PR, Legal, Compliance and Finance. Useful Frequently Asked Questions on applying for a career with Your Move.